Emanuele trained in cardiovascular medicine, in Italy and France, and is registered with the UK General Medical Council as a specialist in general internal medicine. After completing his specialist training, he gained an MSc in Medical Statistics at the London School of Hygiene and Tropical Medicine in 2005 and a PhD in Epidemiology at the University of Cambridge in 2009. He was appointed as University Lecturer in Medical Screening in the Department of Public Health and Primary Care in 2010, where he is leading the Clinical Epidemiology Team in the Cardiovascular Epidemiology Unit. In 2012, he has established and lead a new research group in blood donor health, capitalising on his appointment as Principal Investigator in Donor Health Research and Honorary Consultant for NHS Blood and Transplant (NHSBT). Since 2015 he is a Programme Leader and Deputy Director of the National Institute of Health Research (NIHR) Blood and Transplant Research Unit in Donor Health and Genomics in Cambridge. 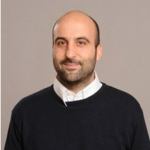 Emanuele’s research interests to date have focused on three broad topics: (1) cardiovascular disease screening and risk prediction, (2) global vascular health, and (3) blood donor health. A goal of his research is to improve the prevention of cardiovascular diseases (CVDs) through evaluation of biomarkers and risk prediction strategies. A key approach has been powerful, systematic, and detailed analysis of large-scale epidemiological data, which often entails setting-up and leading complex international collaborations and devising and implementing novel methods appropriate for analysis of multi-cohort, longitudinal, individual-participant data. Such efforts can help resolve clinical and public health controversies and yield original insights capable of shaping policy. For example, his work on CVD prediction has been cited by >10 major guideline statements published since 2010, including those of the Joint British Societies-3, UK National Institute for Health and Care Excellence, European Society of Cardiology, European Atherosclerosis Society, American Heart Association, and American College of Cardiology. More recently, he has led establishment of population resources capable of providing both pragmatic results to guide practice and supporting discovery science to yield aetiological insights. For example, he is the PI of the COMPARE study, an observational study of ~30,000 donors that is identifying an optimum approach to screen blood donors for haemoglobin status as well as creating an innovative CVD discovery bioresource (participants have consented to genomic studies, linkage to electronic health records, and invitation to future medical studies). Furthermore, he has co-established with Dr Rajiv Chowdhury international research programmes in low-income countries that focus on global vascular health, such as: the Bangladesh Risk of Acute Vascular Events (BRAVE) study (one of the largest and most detailed studies of CVD in South Asia, currently comprising >8000 patients with myocardial infarction and >8000 controls); and the BangladEsh Longitudinal Investigation of Emerging Vascular Events (BELIEVE) study (an ongoing community-based household survey of ~15,000 individuals focusing on the consequences of iron deficiency anaemia across the lifecourse and creating a framework for pragmatic trials). He serves on major national research and policy bodies for blood services (eg, the UK Blood Services Standing Advisory Committee on the Care and Selection of Donors, National NHSBT Blood Donation Research Strategy Group). He is a member of the “Cambridge BioResource Scientific Advisory Board”, and of the “Prevention, Epidemiology and Population Science Section for the European Association for Cardiovascular Prevention”. He is a member of the WHO CVD Risk Charts working group. He serves as a peer-reviewer for several international scientific journals, and for national and international funding agencies. Lipid-related markers and cardiovascular disease prediction. Diabetes mellitus, fasting glucose, and risk of cause-specific death. Chronic kidney disease and risk of major cardiovascular disease and non-vascular mortality: prospective population based cohort study. B-type natriuretic peptides and cardiovascular risk: systematic review and meta-analysis of 40 prospective studies. Association of cholesteryl ester transfer protein genotypes with CETP mass and activity, lipid levels, and coronary risk. Association of apolipoprotein E genotypes with lipid levels and coronary risk.